If you have a problem, both hardware or software, with a device or maintenance is requested by a device. If you need new toners or waste bottles for a device under contract or if you want to check or change the shipping address for the toners. If you have questions regarding the delivery or ordering of a new device or if you have any other question. If you have a question on or a problem with one of our software solutions and you have a support contract for this solution. You can use the last 8 digits of the serial number or you can use a 10-digit serial number to proceed. Same delivery address for toners. * All extra costs for wrong deliveries due to incorrect data will be charged. If you cannot pass to the next step, please click on 'Change data' first and make the necessary modifications. Opening hours: Please indicate the opening hours of your offices for the toner deliveries. You have a KYOfleetmanager contract. 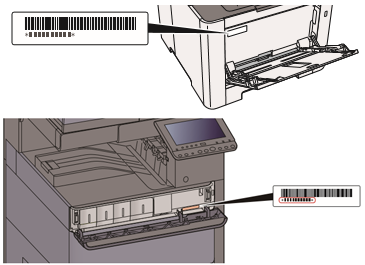 As a result, the toners are automatically sent when you swap a toner in your machine. So you can only change your data here, but you can't order toners. If you have any other comment, please fill in below. You don't have a contract for toner deliveries. You can send us an order for toners using this screen. If the total amount of the order is less than € 250.00 (excl. VAT), there will be a delivery charge of € 12.50 (excl. VAT). Toner delivery address: Toner delivery address is the same as machine address. Our service team will contact you as soon as possible. Please always use the ticket number below with your questions about this request.